Do you remember these three guys doing Top of Switzerland this summer for SOTA, i.e. 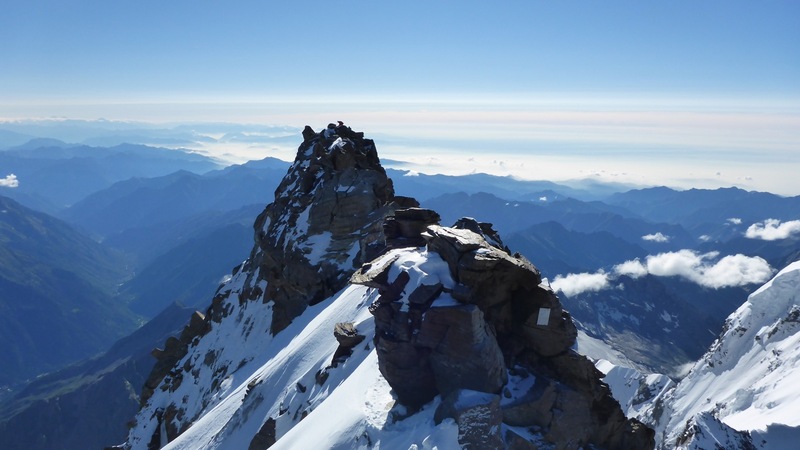 climbing on the Dufourspitze, 4’634 m.a.s.l, the highest summit of HB9? Only two of them were ibex . . . ehmm: mountain goats at that time, Manuel and Matt. The third one is it henceforth: Christian, HB9GIN, has completed the score of 1000 activator points today on a ski tour to the Pischahorn, HB/GR-216, a summit of 2’980 m.a.s.l. nearby Davos. Christian is an experienced hiker, enjoying the outdoors in all seasons. He prefers doing SOTA primarily on 2 m FM and contacting local buddies, since he can operate shortwave from his home station. So he is a rare one for SOTA on shortwave, doing it as a backup if VHF/UHF should fail. Christian is a supportive, motivating and straightforward guy. He has encouraged me these days by his example to do more for 2 m, and I’m looking for a better antenna now for my FT2DE to give VHF more tries than in the past. Christian: enjoy your new companion, your SOTA goat. Where do you go next? I’m sure: you still have many ideas of beautiful summits in your mind - to listen to your chasers, to other activators and to the smiling sun above us, shining for you. Congratulations Christian on achieving Mountain Goat. Congrats, Christian!! Welcome to the herd. And thanks for the joint activations we’ve had – I look forward to those in the future. It’s always fun being out with you! And I’m waiting for you to be among the very first to work the highest summit in every Swiss canton. Gratuliere dir zum Mountain Goat!